Hi! My name is Linda. This page is to give you a some information about me and what I love doing–so here goes. I am a wife, mother, career missionary and Bible teacher for more than 35 years having lived on foreign soil in both Austria and Thailand. Through my years of ministry I have traveled and taught the Bible in more than 20 countries, most recently in Nepal and Ukraine. I am also an author and children’s storybook illustrator; I love painting, writing poetry and short life-essays, and blogging. I am currently working on my second children’s storybook, and the illustrations. My first story book is titled, Sammy’s New Friends, published on Amazon at https://www.amazon.com/dp/0692360069. For more information about my upcoming storybook, writing check out my author’s website at http://www.lindakbridges.com/ and see ‘Sneak Previews’. I’m hoping to finish Hildie’s Hat Party by the end of 2016. Writing 4 Fun Blog is a place where I put what I write–I post randomly–for the enjoyment of friends and readers who like something light and fun. My topics vary from spiritual in nature, to reflective memoirs from my journals. Sometimes I post some poetry with my illustrations! I love dabbling at writing poetry. From time to time I am seized by the desire to write in tighter form than prose or essay. That’s when a poem is born in my mind. If you visit my blog often–you’ll see one or two now and then. If you are interested, you can see a sampling of my poetry at http://www.lindakbridges.com/poets-corner/. I love grand-parenting! I have nine beautiful grandchildren ranging from age 2 1/2 years old all the way to 18 1/2! I have more time these days to spend with my adult children and their growing families–which is also a gift and a privilege I do not take lightly. You may see an article now and then recounting some of my reflections on this austere role in my life. I also love being a pet owner--we have a darling miniature schnauzer (salt & pepper)–a clever and inquisitive little explorer. Sherlock brings a lot of laughter and love into my life–keeping me young! In every blog I write I will present some aspect of the Christian life–usually from MY point of view–or through some experience I have had, that I feel others will benefit from. This will sometimes take form as a poem, essay, short story, painting or the testimony of one of the interesting people I’ve met and written about from my travels. Some of my most popular blog posts have been from my ‘Encouragement series,” and my posts on the ‘Gift of Journaling.” Take a moment now to look at one or two of them. My life of living and traveling abroad as a missionary has broadened and shaped my life experiences profoundly and influenced my thinking, motivations and viewpoint on many subjects. Like an underground well, bubbling up from below, these motivations and viewpoints find their way into my blog, like the story I tell about Pearl, the young woman I met in China who prayed that God would save her! OR the insights I gained as I beheld Mount Fishtail one cloudy morning in Pokhara, Nepal. These experiences, and many more, I consider gifts to share with others who may never have the opportunities to experience such things. Stop by my blog regularly. If you don’t want to miss future posts from me, just click the “Follow” button on my site and follow the instruction. Each time I post, you’ll receive a notice from me. I promise not to inundate you with mail. Be sure to ‘like’ me on Facebook.Please feel free to browse my past blogs, and pass them on to your friends. Share them on Facebook, or by email. I write to be read! I want others to enjoy what you have. 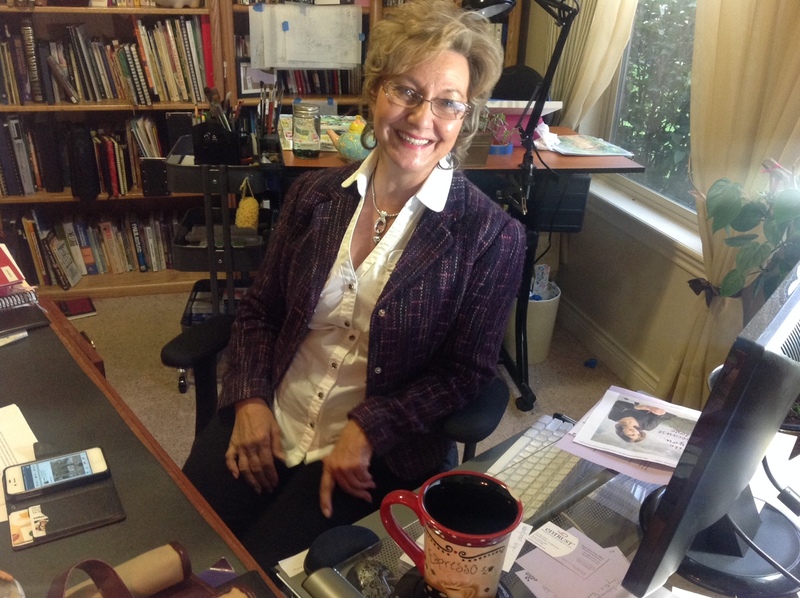 May God encourage and bless you as you join me on this writing journey–for fun! You did marry a wonderful guy!